Online shopping ecommerce websites become a boomcertainlyincreasing year by year. Ecommerce product selling business is much difficult at own riskto marketing whereas by doing affiliate marketing you can get 100% success in the marketing.As the successor of ecommerce sellingwebsite like Flipkart, eBay, for a startup ecommerce business has huge values among other industries in the market. Of course, startup business could face the biggest challenge in the ecommerce business on the other case PHP scripts mall providing right ecommerce solution even if it is small scale or large scale industries. In the startup ecommerce script, the user can have a responsive design and user-friendly impression. In the home screen, view products listed in a category where products are shown with name and price detail. In Affiliate Niche Script each product contain certain description along with striking images. Meanwhile if the user interested in products they might share the favorite products through social networks. In the profile, section user can manage their profile with billing and shipping address. Upon purchasing user can add the product to the cart also apply coupons code if any. With preferred payment mode user purchase goods from Amazon Ebay Affiliate Script. We have extended user selective payment methods like direct bank transfer, cheque payment and PayPal, visa, master card. To get official updates a user can register for newsletter subscription through mail id. To reduce the hurdle for entrepreneurs our API for Amazon Ebay Script is designed to be clear admin control access. Entire ecommerce website access takes over by the admin. All products are managed by the admin, as preferred admin could add or remove categories. Through admin panel product can add and all posts are filtered using date, category. Comments and feedbacks are managed and reviewed by the admin. In user management, all user profile are controlled. Where in order management, all orders, coupons, reports of the ordered product, ordered customers and stock details are managed efficiently. The salient features of our Ecommerce Software we have added many security features which blocks malicious accessto the website which includes security scanning, firewall settings, ipv6 compatible, cache features and more. We at Php Scripts Mall offering a simple way to start your ecommerce website script within a minute throughsimple, fast and reliable for the startup entrepreneurs. We have made SEO friendly structure to ensure the ranking of website according to the Google values. Get expert support for 1 year period and source code updated upon purchasing our ecommerce script. •	Store admin “completes” order and follow-up email requesting a review is scheduled to send in a number of days (chosen in the plugin settings). •	Scheduled follow-up email is sent with a list of the products on the customer’s order. They can click these to leave a review. I like the fact that the script is readymade for business. With seamless integration it is also cool to access. So you can totally customize it even further to your needs. It is a fashionable script. It is a very nice script and I got instant response from the admins. The features are outstanding. It is quiet easy to start up this software. I suggest all to buy this script and sure you will not be disappointed. 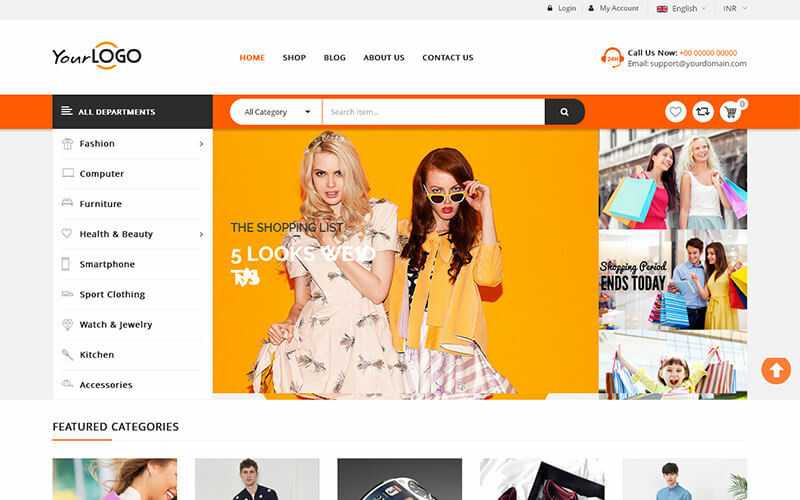 I was extremely impressed by PHP Scripts Mall high standard service and design quality. They know what their customers want. Good and keep it up guys.